We are in a new era; one in which dealers make most of their money on the service side and not in new vehicle sales. Yet, as an industry we still spend far more money marketing the sales side of the business, and on conquest marketing, than we do on service marketing and customer retention. Some dealers justify this by saying that sales drives service business. I would argue that equally, service drives sales business. When customers service with you, they are two-and-a-half times more likely to buy their next vehicle from you. Yet, service is where most customer defection occurs. If you can plug the holes in your service bucket, you won’t have to pour as much water in the top. Here are a few strategies that will help. We all know the goal is to develop a relationship with every customer, but what does that mean? Your relationship with your customers is not defined by how you treat them. At the heart of every relationship is communication. How well are you communicating? Even more important, how well are you listening? Effective communication is a two-way street. As dealers, we send out communications all the time. But, how much communication do you receive from your customers? Do you ask their opinions? Do you pay attention to which offers they respond to? Do you track how and when they are consuming your messages? In any relationship, you must learn how to communicate. I believe in Omni-channel, using all available channels to relay messages. Studies in advertising have shown that it can take four or five impressions before the message sinks in and the person responds. The same thing happens with personal communications, too, right? Your spouse may ask you to do something once, but you don’t do it. After hearing it several times, however, it begins to sink in that this may be important and you should probably do it. Perhaps more important than the means of delivery, is the message itself. When you do communicate with your customers, don’t always try to sell them something. A relationship is not all about you! Customers want information and they want to feel appreciated. Keep your customers informed about their vehicle and their service needs. Educational messages will generally be better received than a 10 percent off coupon. Tell your customers how to reset their clocks, how to use the features in their vehicle, how to pre-set their seats. Also, be sure to thank them for their business. Some luxury dealers do a great job at this; I know one BMW dealer that sends their customers movie tickets as a thank you for service. If a customer brings their car in twice a year and you are not showing your appreciation in some way, that customer is vulnerable to defection. These are not difficult things to do; not that time consuming or expensive. Invest in your relationships by investing in communications. A good experience is a smooth, efficient experience. When a person shows up in the service lane, be prepared. If you have a scheduling system, you have the opportunity to know what your customers’ needs are before they show up. The check-in process should take no more than two to three minutes, and it should be entirely focused on the customers’ needs. As a dealer, you have the opportunity to create an experience that’s better than an independent chain. You have a more comfortable waiting room, better amenities and loaner cars. Don’t think of loaner cars as an expense; think of them as a strategic asset. Loaner cars are not expensive, what’s expensive is not getting the service. Focus on value over price. Somehow, in your communications and during the in-store experience, you must find a way to sell value over price. Your dealership may be a little more expensive but your technicians are trained. Your manufacturer parts will last X months longer than a non-OEM part. Better parts and service lower the average cost of ownership, over time. When I was at AutoNation, we estimated that we only captured half of the average customer’s service needs. There is enough work to be captured and done on vehicles without selling gimmicks. By gimmicks, I mean things like radiator flushes and nitrogen to fill tires. Customers don’t need that. They need tires, brakes and windshield wipers. I realize these jobs don’t produce a lot of revenue. But it’s not all about today. Keep the big picture in mind. Earn your customers’ trust and when they do need engine and transmission work, they will bring their vehicle to you. It really comes down to getting to know each customer and showing them respect. Do your service advisors view each customer as a welcome friend, or as a means to get their monthly bonus check? Focusing on monthly revenue goals can hurt long-term revenue potential. 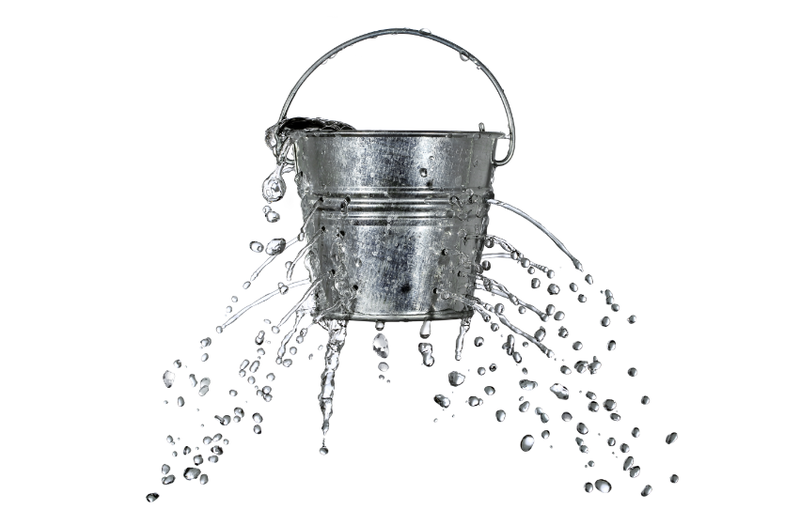 These strategies can help plug the holes in your service bucket and prevent customer defection. You’ll find that by investing more in your current customers, you won’t have to spend quite so much trying to attract new ones.